If last week’s exposé on the world of snowboarding birthday cakes was just a bit too lightweight for you this week should be right up your street. 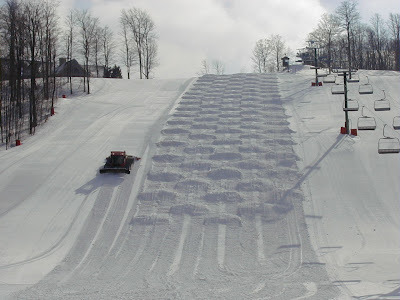 This week we look at the most heinous of all snow obstacles – Moguls of Death! Kyle D. Suske was born on November 7, 1983 in Wausau, WI. He is survived by his parents, his sister and his puppy, Roxanne. 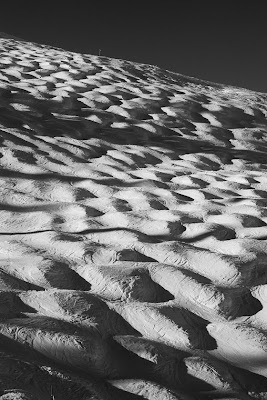 Moguls are probably not highest profile danger you will come across while snowboarding. 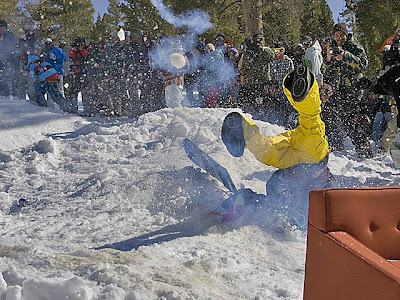 More high profile snowboarder killers such as avalanches, counterfeit Chinese ski lifts and alcohol all account for more incidents you’ll see reported in the press, but none of those things combines both danger and irritation in quite the same frustrating mix that moguls do. 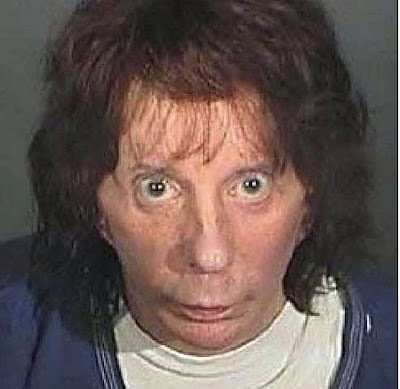 Phil Spector. 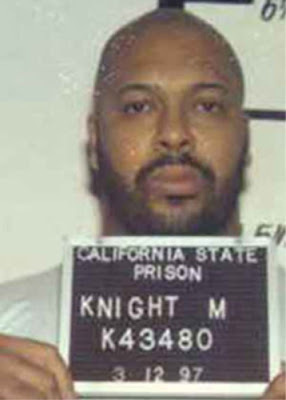 Music mogul, inventor of the “Wall of Sound” production technique, convicted slaughterer of young ladies. Genghis Khan. 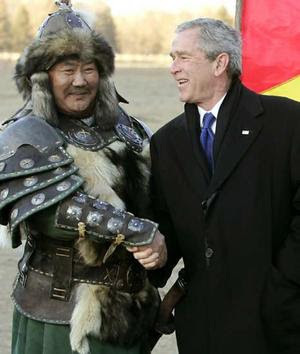 Mongol Emperor, ruler of the largest contiguous empire in history, supporting actor in Bill & Ted’s Excellent Adventure. Deaths accounted for = In the hundreds of thousands. 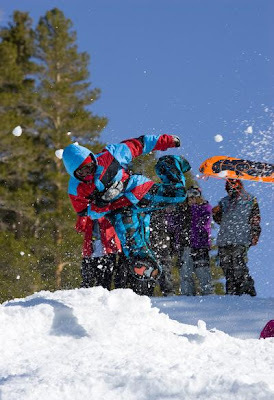 Snow Moguls. Created by skiers, efficient enjoyment destroyers, and guilty of their first recorded killing of a snowboarder in January 2009. Clearly from that list, Mr Khan was the most deadly from a purely historical perspective but his reign is very much over, whereas the snow mogul’s reign of terror goes on with no end in sight, and now they have tasted blood we face the frightening realisation - what’s stopping them surpassing this tally? The Marathon County Sheriff’s Department says a 25-year-old Athens man has died in a snowboarding accident. Capt. Diane Lotter says Kyle Suske died Wednesday night at Granite Peak Ski Area near Wausau while snowboarding with two friends. Lotter says no one saw the accident but it appears Suske was trying to cross some moguls, lost control, became airborne and landed awkwardly. A friend who was snowboarding ahead of Suske found him face-down in the snow. He was wearing a helmet. Detective Ryan Weber says an autopsy determined Suske died of blunt force trauma to the chest, which caused his heart to stop. And I would probably recommend sticking to places with names like Loveland (USA), Heavenly (USA) and Fluffy Powder Sprinkles Land (USA). So what lesson can we take out of this sad tale? 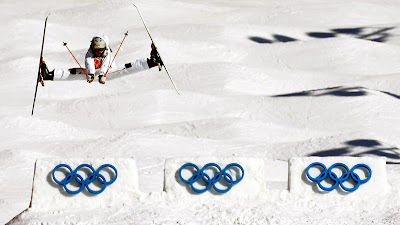 Kyle’s brave sacrifice is a reminder to all snowboarders that moguls are not just irritating obstacles designed to make snowboarders look ridiculous, they are also potential killers. So just avoid them and leave them to bandy-legged French skiers. So two Accidental Heroes articles and two deaths. We promise there will be no dead snowboarders in the next edition. Unless the moguls kill again. Kyle was my best friend and roommate. He will always be a hero in my heart. The moguls that took his life were not finished being turned and shaped(this is a process needed to create moguls in the Midwest) and should have been roped off until they were finish. Kyle had taken that run 1000s of times in his life and was an extremely safe rider. What exactly happened or what he was thinking, I do not know. I was two runs over and about to meet up with him for a night of fun. He will always be a hero in my mind.